This Halloween we hear from three voices, Anita Resink of Amsterdam, Holland, Deborah Oak Cooper from San Francisco, California and Angela Magara from Plainfield, Vermont. 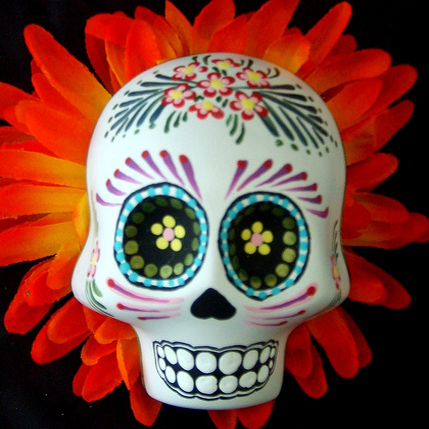 The topics include ancestor work and geomancy, the Mexican celebration of Dia De Los Muertos, and the way that death is part of life. Angela reads from her book Earth Psalms. We honor musician Kenny Edwards who died in August. Music by: Yorgi, Bone Poet’s Orchestra, Tom Rush, Aaron Flinn’s Salad Days, The Bearles, Bill Fadden & The Mostly Losers, Laura Nyro, Tulku, Nina Simone, Willy Porter, Ieia Dement, Stone Poneys, Bryndle, and Kenny Edwards.